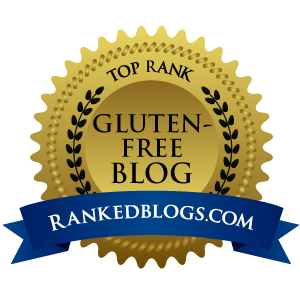 … A Gluten-free Flour Worth Stirring Up! Knowing the right combination of gluten free flours to mix to create the perfect all-purpose flour can be confusing, to say the least. Getting it just right can nearly require a degree in alchemy. So when I find an a-p flour that can make your life easier, cleaner, and faster, I have to share. Outrageous Baking is the company with just such a flour. Perhaps you already know of them for their oh, so delicious sweet breads – I personally LOVE the pumpkin and lemon poppy seed breads. Now they’re all-purpose baking flour mix can let you create delicious baked goods in your own kitchen. You know what this means? No more storing multiple gluten free flours so you have just the right one on hand when needed. No more dustings of multiple flours on your kitchen counter when gathering ingredients. No more figuring out which flours play well together for that particular recipe. No more needing to add xanthan or guar gum. With Outrageous Baking A-P Flour Mix, you can simply measure this flour cup-for cup for almost* any recipe requiring a-p flour. Sound too good to be true? Pie Crust: Using my pie crust recipe, OB flour mixed well to make a very workable dough. It rolled out beautifully without sticking to the rolling pin or platform. The crust held its shape well when cutting out decorative crust embellishments (circles on rim of pie). The crust baked up light in color and didn’t become soggy when combined with a fruit pie filling or a moist, cream-style filling. Cinnamon Rolls: (not shown – we ate them too fast) I love making cinnamon rolls. Subbing cup-for-cup in my standard recipe, the dough had a very good consistency. The flour mixed well with the margarine and created just the right texture for rolls. Rolling out the dough was extremely easy, with no sticking. I was able to roll them jelly-roll style without the dough breaking apart. When cutting the unbaked dough, it was tender to cut but held its shape and only required a dusting of the knife 3 times for 11 cuts. The rolls baked up tender, moist, and held a beautiful shape. Devil’s Food Doughnuts: The picture says it all. These baked up with the perfect combination of fluffiness and light denseness to be called a delicious doughnut. No changes were required to my original doughnut recipe. Tortillas: (not shown – again, gone too quickly) The flour I’ve always used to create my tortillas has a bean flour base, and honestly doesn’t taste very good when uncooked (not that I taste it raw regularly), though once cooked it is delicious. But this flour created a dough that worked well and tasted good before cooking (maybe that’s weird, but I had to try it). The tortillas cooked up with a slight crispness to them. Less pliable than my standard, but they made a great platform for tacos that don’t get soggy when overstuffed (I pile everything in my tacos), and would fry up well for tostadas. The plain flour tortillas have a very neutral flavor and readily let all the other flavors shine through. Scones: Look at these beauties, right? Tender, but not crumbly. This is the best success I’ve had making scones with any pre-made flour mix I’ve tried since going gluten-free. Yay, OB flour! *This flour is well-suited to the types of recipes I mention above, as well as cookies, but doesn’t result well in bread recipes, such as sandwich bread, artisan loaves, or rustic-type breads. So there you have it! A review of Outrageous Baking All-Purpose Flour Mix that let’s you decide if the results speak for themselves. I give this flour mix three diamonds, highest on my rating scale, and believe this is a gluten-free flour worth stirring up! Outrageous Baking All-Purpose Flour Mix, as well as all of their other products, can be found at OutrageousBaking.com. Products can also be found at physical locations. To see if there is a store near you, check here. *While this flour was provided to me gratis, the words and opionions are purely my own. You might also like to see our other Baking Product Reviews. Connie, thanks for your investigations. Do you know if they are made in a dedicated gluten-free facility, and have a gluten-free certification? Thanks! Oops And I also forgot to ask, is the flour itself vegan? Ingredients: brown rice flour, sorghum flour, potato starch, tapioca flour, xanthan gum. We at DF are HIGHLY sensitive to gluten and dairy, and have never found a concern with potential dairy cross-contamination. Great, thx for the scoop!